The invisible deck is a devastating effect and one of the most powerful weapons in the magician’s arsenal of card magic! If you are not performing it, you are missing out on one of the most amazing demonstrations you can offer an audience. The trick’s title stems from the classic presentation of this effect, in which the magician hands the spectator an imaginary, or “invisible” deck. On being handed the deck, the spectator is asked to mime the acts of removing the invisible cards from their case, shuffling them, spreading them face-up on the table, freely selecting a card, replacing it face-down among the other face-up invisible cards, and returning the deck to its box. Magician Joe Berg created the Invisible Deck in the 1936, originally calling it the Ultra Mental Deck. “The Berg Book” written by Joe Berg and David Avadon includes a brief history of the deck which says that Berg developed the Ultra Mental Deck as a refinement of the Auto-Mazo Deck, developed and marketed by Sam Drielinger. Notable performers of the effect include such masters of magic as Dai Vernon, Don Alan, and Eddie Fields. Some claim the most-used presentation of an “invisible” deck of cards is the invention of J.B. Bobo, author of “Modern Coin Magic”. Yet, the routining and presentation for the Invisible Deck is more often credited to Eddie Fields. In “The Greater Artful Dodges of Eddie Fields”, Fields stated the idea for his presentation was sparked sometime after 1942 when he was at an army hospital visiting a friend who was pretending to be mentally unstable. This friend shuffled an imaginary deck of cards and invited Fields to play poker with him. Fields saw the potential of the gag as a presentational framework and tied it to Joe Berg’s creation, the Ultra Mental Deck. To accomplish this miracle, a special deck of cards is required. Thus the Invisible Deck, by nature, is a “trick” deck. Some let this detail deter them from including this incredible illusion in their repertoire. That might be the biggest mistake of any magician’s career. If you want to propel your card magic into the realm of miracles, the Invisible Deck is an essential tool. If you are going to perform just one jaw-dropping, explosive, mind-blowing feat of card magic, the Invisible Deck is it! 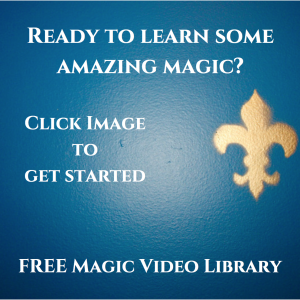 Professional magicians consistently use this deck to impress their clients and book gigs! Magicians representing various companies in a corporate trade-show environments use this deck of cards to gather large crowds of people at conventions and generate interest in their companies’ products and services. David Blaine even used the Invisible Deck on his first television special! The Invisible Deck makes a strong opener to any set or performance of magic. It allows the performer to showcase his or her personality as they interact with the audience. More often, I recommend using the Invisible Deck as a killer closer. When performed properly, few other card tricks can follow it and create the same impact. It is that powerful! The invisible deck also serves as a great introduction to another potent secret in card magic known as the Si Stebbins Stack – a system in which playing cards are arranged in a specific sequence that allows the magician to access hidden information during the course of performance such as the value, suit, and location of cards selected as well as the identity of the cards on the top and bottom of the deck. This information can be used to great advantage in creating incredible illusions with playing cards. For my personal use, I always keep an Invisible Deck in my back pocket at every gig I perform. Aside from it being a super strong trick, it packs small and plays big! It is a bit I can do for any audience from 1 person to 500 with varying levels of audience interaction and it never fails to impress. Moreover, it is the perfect, what magician’s call, OUT for those scenarios when things do not go as planned. Let’s face it… If you’re a magician that performs frequently, at some point, a trick will not work either due to human error or faulty mechanism. Sometimes, you really can’t find the card a spectator chose and it is now truly lost in your standard deck. The Invisible Deck can save you! It offers the magician a way OUT of this sticky situation that brings the effect to a satisfactory, if not sensational, close without the audience realizing that the magician was truly having difficulty in accomplishing the original effect’s intended ending – in this case, finding a chosen playing card. With the Invisible Deck, you can simply reach into your back pocket, remove the Invisible Deck, ask what the chosen card was, and reveal that you knew this information ahead of time by showing their selection is the only card reversed in a completely separate deck that had been isolated in your back pocket! 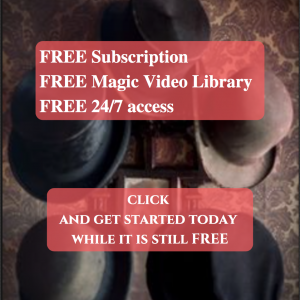 Many magicians have contributed to the literature and presentational possibilities for the Invisible Deck and I encourage you to seek out their thoughts, ideas, and routines for this fantastic classic of magic once you are familiar with the basic handling. If you were unfamiliar with the Invisible Deck, I hope this small introduction and history on the effect has helped you to recognize the potential of incorporating it into your magic performances. The Invisible Deck is one of those rare few card tricks you can perform with very little effort and almost no skill yet still create the impression that you are a master magician! The deck does most of the work for you meaning you can start amazing your friends, family, peers, and coworkers almost immediately after learning the basics. And, if you like the Invisible Deck, you will really enjoy the subject of our next article… the Brainwave Deck! Until then, I’m going to grab my Invisible Deck and amaze some folks… if I could just find it.